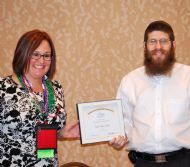 S. Barbara, CA - Rabbi Zalmy Kudan, of Camp Gan Israel S. Barbara, received the Rising Star Award from the American Camp Association, Southern California/Hawaii at their annual meeting, in conjunction with the national ACA convention in S. Diego last week. The award recognizes Rabbi Zalmy's contribution to the ACA as a voice for the importance of accreditation amongst the local camp community and nationally throughout the Camp Gan Israel network. 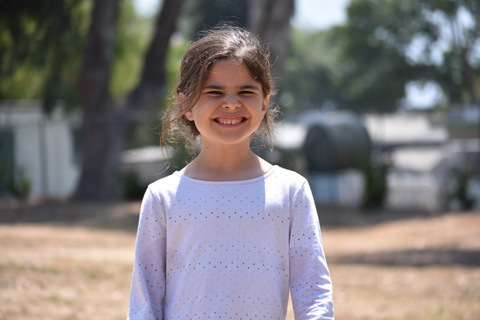 Rabbi Zalmy has assisted tens of camps through the accreditation process, ensuring the camps meet 300 standards of fun and safety. Additionally, Rabbi Zalmy is an Associate Visitor and serves on the Membership Work Group. To learn more about the ACA visit www.acacamps.com; to learn more about Camp Gan Israel S. Barbara, visit www.ganizzysb.com.